Kids usually eat what they’ve cooked for themselves, so it can be a great way to get a fussy eater to eat foods they don’t normally touch. It’s also useful for broadening your child’s pallet and getting them to try new things. Cookery involves many essential skills such as math and science, and even geography if you are creating dishes from around the world. With preparation times listed for each recipe below, you can even combine cooking with teaching your kid about time! Kids love pizza! But rather than getting it from your local store or a pizza delivery outlet, it can be tremendous fun for kids to make their own. Making pizza is a fun social activity, perfect for playdates when other kids come over, pizza party! 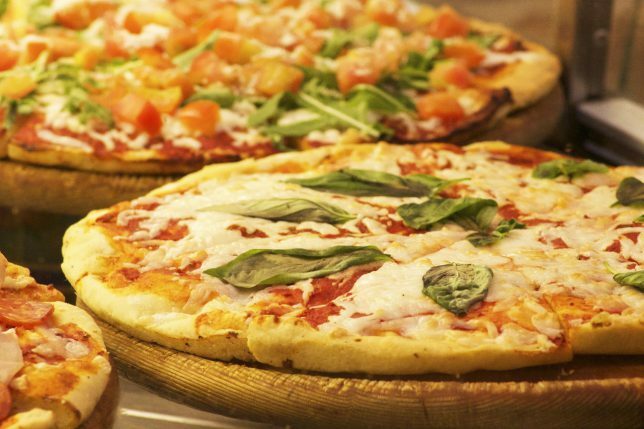 Because each pizza is made individually, everyone can choose the toppings they want. 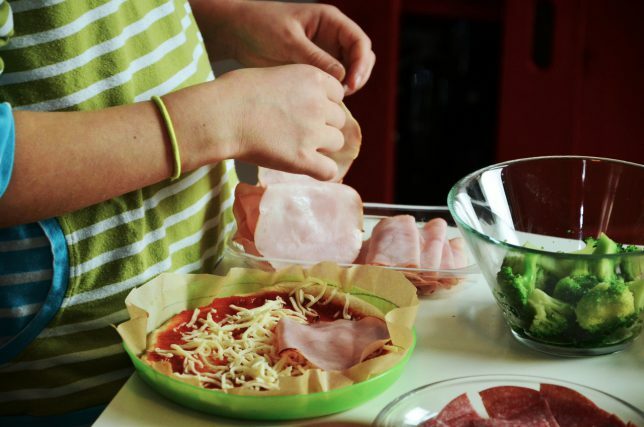 Younger children will require adult help with chopping and slicing and to put the pizzas into and remove them from the oven. Turn on the grill and line a baking tray with greaseproof paper or baking parchment. Cut the bread into 3 pieces of equal length and then slice each of these along their length to give you six pizza bases. Rub the garlic clove over the soft side of the pizza bases. Lightly grill each of the pizza bases for approximately 1 ½ to 2 minutes until a very pale golden color on top. Switch on the oven to 390 degrees Fahrenheit (200 degrees Centigrade). To prevent the pizza from becoming soggy add ½ a cup of the grated hard cheese to each pizza. Next, add a few dollops of pizza sauce along the length of each pizza. Add the remaining ingredients, except the mozzarella to each child’s liking. Add ½ a cup of the mozzarella on top of the other ingredients. Place the pizzas on the baking sheet. Cook in the oven for around 10 to 15 minutes until the cheese is molten. Remove from oven and allow to cool slightly for a few minutes. This recipe gives lots of opportunity for fun – grating onions (don’t forget the swimming goggles), measuring, squishing and mixing. Try this great family recipe that is fun to make and gets them to eat their veggies too! Both the meatballs and the sauce freeze well, so this is a perfect recipe for dividing into batches to freeze for future meals. You don’t have to use ground beef and can swap it out for minced pork or turkey, or even make a vegetarian option by using mashed chickpeas. (Help from adult required) Place 2 tablespoons of oil into a small frying pan on a medium to low heat, fry the garlic gently stirring continually until soft and a pale golden color. Put the whisked eggs in a large bowl with the parsley, cooked garlic, meat, parmesan, salt and pepper and using clean hands smoosh together until thoroughly combined. Add the breadcrumbs one tablespoon at a time until the mixture holds together. Remove the meat mixture from the fridge and form it into golf ball sized balls. Place each ball onto a greaseproof sheet. 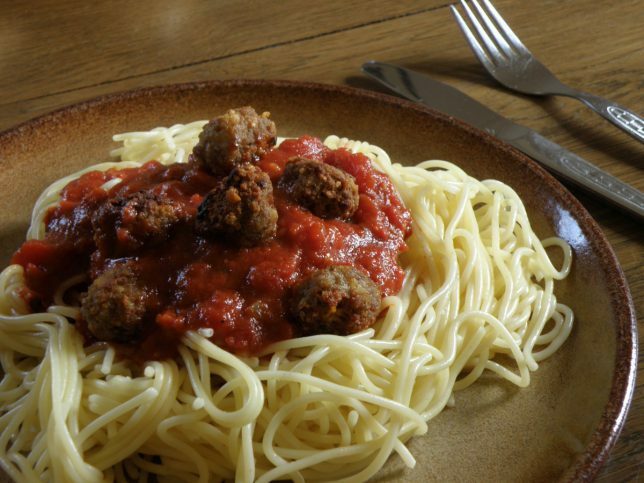 (Adult job) While creating the meatballs, heat the remaining oil in a large frying pan on a high heat. Fry the meatballs until cooked all over. Once cooked place the meatballs onto a baking sheet covered in kitchen paper to absorb excess oil.NOTE: If you want to reduce the fat in this recipe, you can bake the meatballs in an oven at 390 degrees Fahrenheit for 30 minutes, instead of frying them. Heat the oil in a medium-size saucepan on a medium heat. Add the onion and garlic and cook stirring continually until transparent to lightly golden. Add the tomato puree and then the tomatoes to the pan and leave to simmer on a low heat (uncovered) for around 10 minutes. Add the parsley, and season with salt and pepper to taste. Add the meatballs and cook on a medium to low heat for around 30 minutes until the sauce has thickened. Stir regularly to ensure nothing is sticking to the bottom of the pan. Serve with cooked spaghetti and freshly grated parmesan. I love a cake made from Zucchini! It always makes the cakes moist and delicious, but best of all its full of zucchini, which I like to think makes it slightly healthier than regular cake. There are loads of different versions of zucchini cakes, from chocolate brownies to lemon drizzle cake. I’ve chosen chocolate chip muffins, but if you didn’t want to use chocolate chips, you could leave them out or exchange them for blueberries. ½ cup – chopped walnuts or pecan nuts (optional) beware of nut allergies! Pre-heat over to 350 degrees F (175 degrees C). 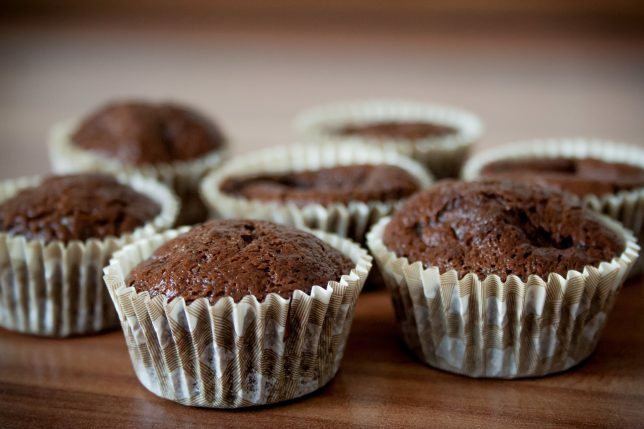 Line muffin cups with paper liners or grease. Combine flour, sugar, baking soda, cinnamon, and salt in a large bowl. Mix egg, oil, milk, lemon juice, and vanilla extract in a separate bowl. Stir wet mixture into the dry ingredients until just moistened. Fold in zucchini, chocolate chips, and walnuts. Bake in preheated oven until a skewer inserted into the center of a muffin comes out clean, 20 to 25 minutes. Salads? Hold on, don’t skip this, hear me out. This one is awesome! 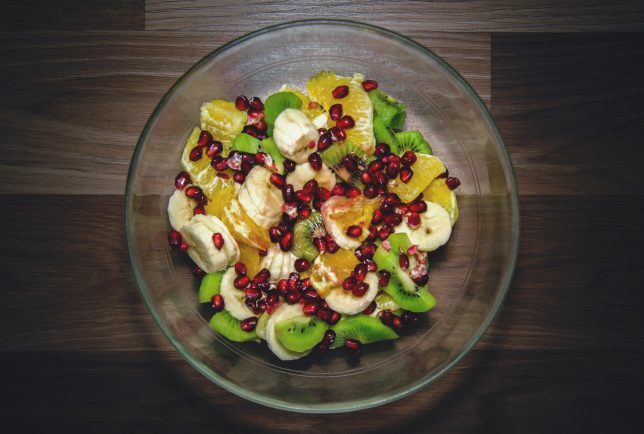 Fruit salad is easy to make, tasty, sweet, and healthy as it’s packed full of vitamins, minerals, and fiber. What’s excellent about fruit salad is you can use any fruits you like. Try to pick seasonal fruits and the greater the rainbow of colors the better! Fruit salad is best eaten fresh as it won’t keep for very long (max three days), even in the refrigerator. The fruit preparation will require the help of an adult for younger children. Remove the seeds and skin from the honeydew or cantaloupe melon. Remove the skin from the watermelon. Skin and core the pineapple. Roll the lime around pressing down on a hard surface to release the juice. Half the lime and squeeze all the juice into a large bowl. Chop everything into small cubes of about 1cm square and place into the bowl with the lime juice. I hope you enjoy cooking these recipes as much as my son Benni and I do. Cooking is such a valuable life skill to learn and creating an interest in cookery and nutrition from a young age, will help kids make better choices about food as adults too. Once you’re finished creating delicious recipes, don’t forget about cleaning the kitchen and doing the washing up. And it’s probably one of the best ways to really spend intense quality time with your kids! P.S. : Did you EVER happen to yell at your child or call a timeout? Did you regret it afterwards? I certainly have, and I never felt good about it! If you want to learn how to put an end to this behavior, decode your kids and understand them so much better and become a calm parent, then make sure to read my FULL REVIEW of “Positive Parenting Solutions” HERE. This program changed our family’s life and we saw first results within just 3(!) days. And it will certainly work for you as well! I love these recipes and I applaud you for writing a recipe for dads! Women have so many recipes online, but dads usually have different things they’re looking for (just like you said): quick, little mess, and tasty. You were spot on with the recipes! My kids love pizza, spaghetti with meatballs, and chocolate chip muffins. We haven’t tried the “Tutti Fruity Salad”, but we love each of the ingredients, so we’ll need to try that one out. Thanks for compiling this. Great post! You have a beautifully laid out site sir! I was reading as I try to learn more on Chocolate Chip Muffins. At this point I’m still very green. My son has a lot of love for it. Now he tells me that he wishes i can do it And here i am, with your post.
! I will keep checking by as I learn more. thanks very much dear for this! I love cooking with my kids so this is right up my alley. I’m super excited to try the chocolate chip muffins with hidden zucchini!!! I love zucchini and I love the idea of using it with chocolate even more! Do you have any tips for cooking with slightly older children? I absolutely love your site. How awesome you are to think of cooking with your child. The recipes are definitely something that children will want to make and eat. Thanks for posting those recipes, especially the muffins with zucchini. I’m going to look up some other recipes on my own. First off, the images you used look sumptuous, absolutely mouth watering. I never thought cooking with your kids can be so fun, great recipes too. I can’t wait to get to it. Though I can’t help but dread that there would be a trail of mess when we are done.